Autumn has arrived and also warmer clothes. We have made a selection of wardrobe basics for this season that you can find in low cost shops now. 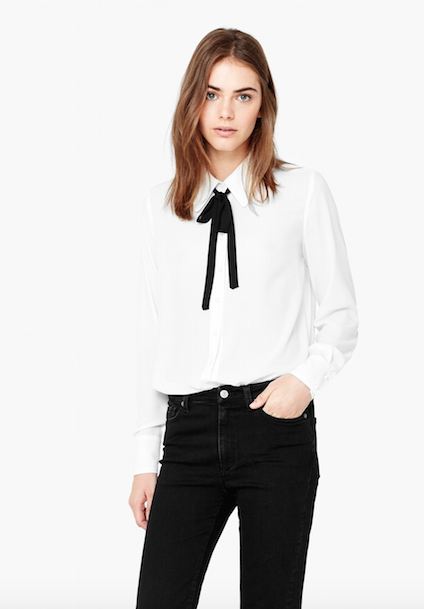 A white blouse from MANGO with black neck loop, very trendy this fall. 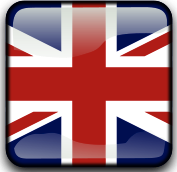 And if you do not like the loop there is this version with black border from MANGO. ZARA blazer in dark tone (gray, black), pinstripe or check, blends perfectly with an office look or with jeans for a more casual style. 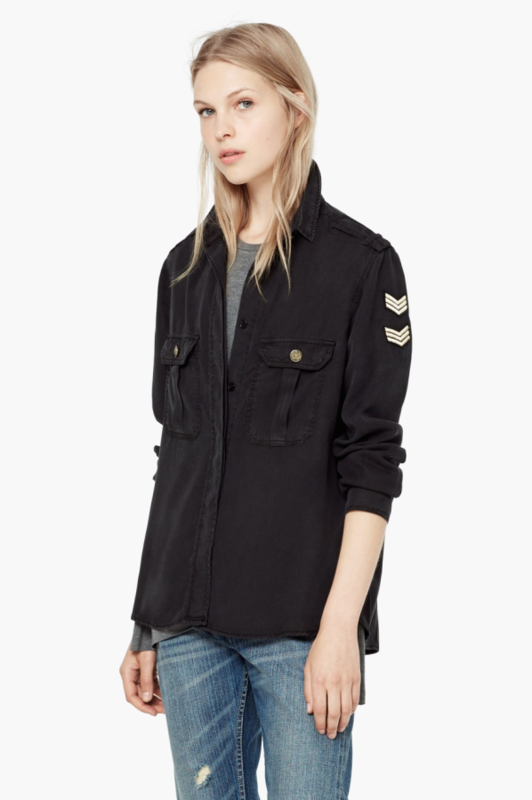 A military-style jacket in green or black, a trend that’s been around for several seasons, this jacket from ZARA. Knee length leather skirt in camel tone from ZARA. 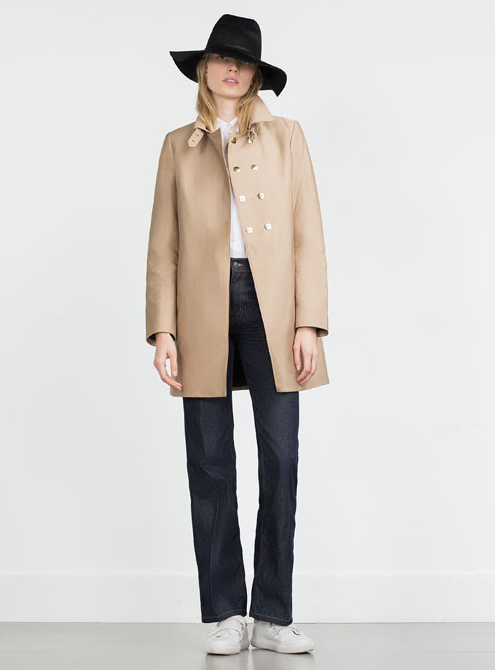 Beige trench, easy to find this time of year. 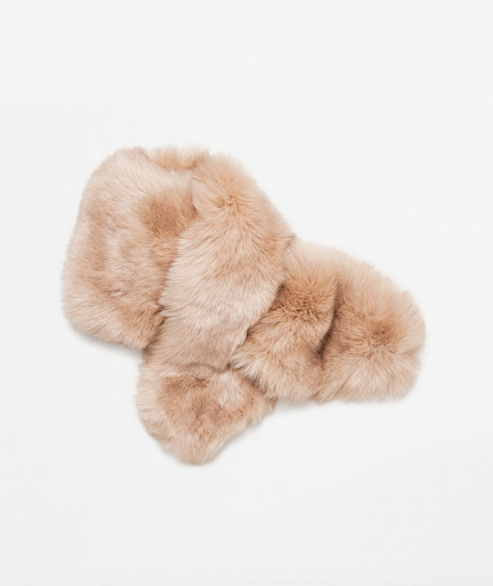 This one from ZARA. 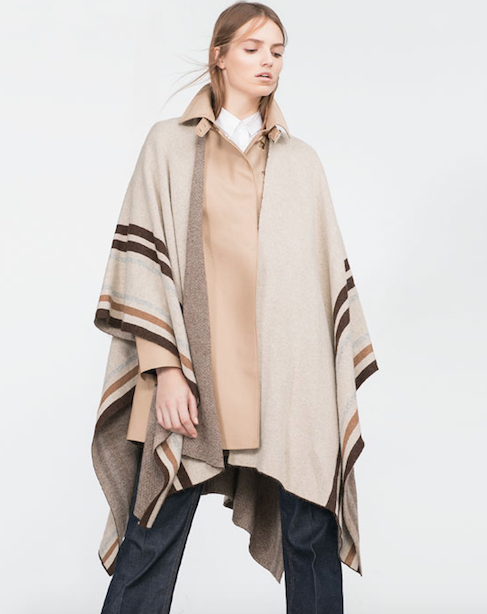 ZARA coat or poncho, you can wear it over a trench or jacket like in the photo. Black knit dress from ZARA. Always have a black dress in the closet as a resource for the day you have an event and do not know what to wear. Add accessories like earrings and a bag and you’ve got an outfit. MANGO white coat. In autumn and winter we can wear white, not just in summer. 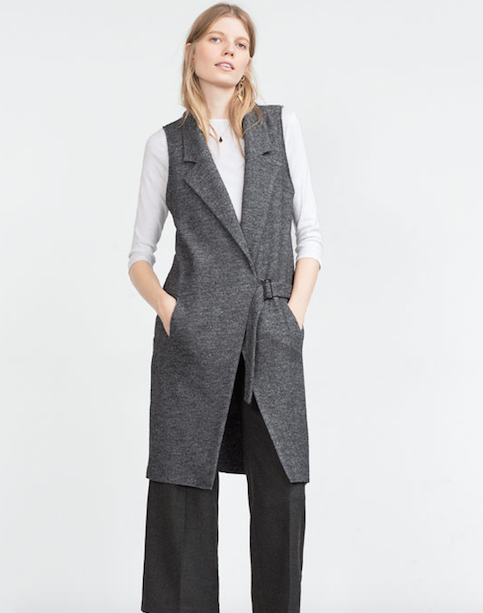 ZARA long vest, we are seeing this long vest in all the collections trending this year. 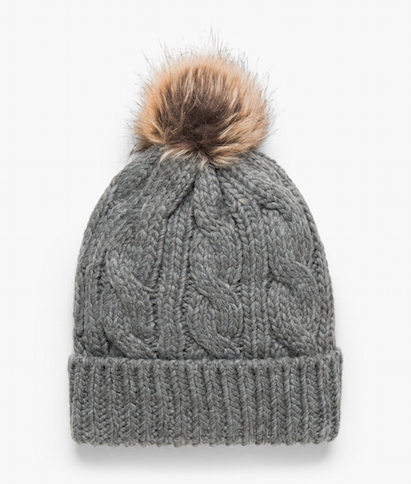 Accessories: Beanie with pompom from MANGO and furry scarf from ZARA. 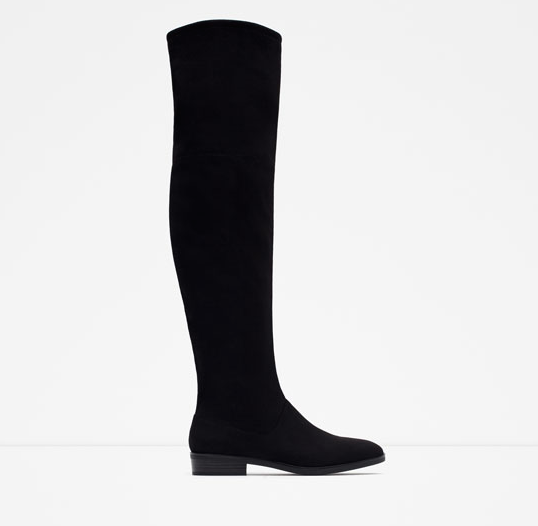 ZARA flat high boots in black for everyday, very comfortable and look great with almost everything.